When switched into Smart RTL, like regular RTL, the vehicle will attempt to return home. The “Smart” part of this mode is that it will retrace a safe path home instead of returning directly home. This can be useful if there are obstacles between the vehicle and the home position. 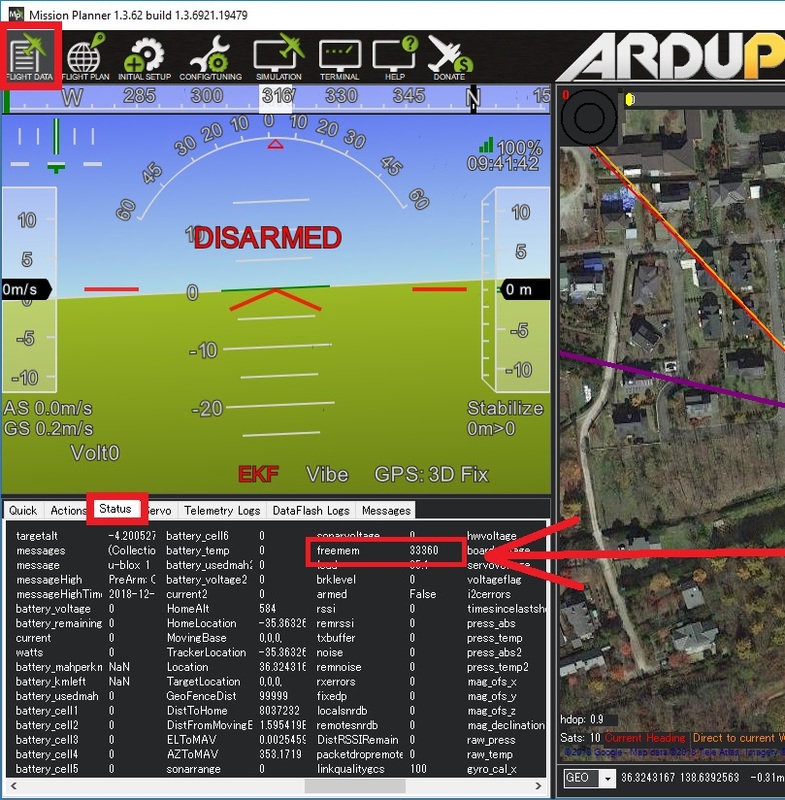 SmartRTL is available in Copter-3.6 (and higher) The vehicle must have a good position estimate (LEDs should be green) when the vehicle is armed or SmartRTL will be disabled. If the vehicle is armed without a good position estimate, “SmartRTL deactivated: bad position” will be sent to the ground station. The path used to return home is captured in a buffer as the vehicle drives around in any other mode. The path is “simplified” (meaning curved paths are turned into a series of straight lines) and “pruned” (meaning loops are removed). The buffer is of a limited size (see below) and once it is full, “SmartRTL deactivated: buffer full” will appear on the ground stations’s HUD and the user will no longer be able to switch into this mode. SmartRTL saves points at a maximum of 3 per second, but only if the vehicle has moved at least SRTL_ACCURACY meters from the previous point. So for example, if the vehicle was moving at 10m/s it would save the points at 3.3m intervals. After 50 points are saved it goes back and simplifies them into lines again using that SRTL_ACCURACY. It will replace a string of points with just two end points if all the intermediate points are no more than SRTL_ACCURACY from the line between the end points. This is how it manages to create a smart path home without flying unecessary maneuvers. There are multiple ways that the vehicle can mode switch into SmartRTL. Either through user selected, or through failsafe selections. Additional Failsafes that may be set to switch to SmartRTL are: BATT_FS_CRT_ACT, BATT_FS_LOW_ACT, BATT2_FS_LOW_ACT, and BATT2_FS_CRT_ACT. RTL_SPEED can be used to set the speed (in meters/second) at which the vehicle will return to home. By default this parameter is zero meaning the WP_SPEED or CRUISE_SPEED parameter values will be used. SRTL_ACCURACY controls the accuracy (in meters) of the simplification and pruning performed. The simplify algorithm will turn curved paths into straight lines but the line should never be more than this distance from the original path. The pruning algorithm will cut paths that come within this many meters of each other. SRTL_POINTS controls the maximum number of points that can be stored. Each additional 100 points requires about 3k of RAM and the image below shows how to check the flight controller’s available memory (most flight controllers have enough memory for 500 points). If the maximum number of points is exhausted, “SmartRTL deactivated: buffer full” will be sent to the ground station and the user will not be able to switch into SmartRTL.